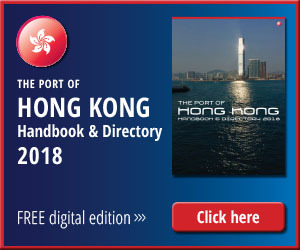 China Cosco Shipping having just left the plush offices of China Development Bank with a credit line of US$26bn seems keen to spend a portion of it on acquiring Hong Kong’s iconic Orient Overseas International Ltd. So the Wall Street Journal would have us believe. According to the New York-based broadsheet China Cosco is preparing a bid of more than US$4bn for OOIL. The bid equates to HK$49.50 per share. At the time of going to press the stock was valued at HK$42.50. The Chinese media outlet, Caixin meanwhile further muddied the waters by suggesting that CMA CGM and Evergreen Marine Corp were also preparing bids for OOIL. The parties involved have either denied an impending deal or offered no comment. OOIL has had a connection with Beijing that goes back a long way when the latter bailed out the former in the mid-1980s. There are sound reasons for the China Cosco bid. 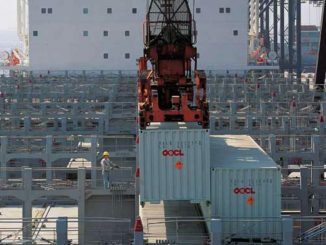 Acquisition of OOIL would lift the Chinese behemoth into third place in the global league of liner companies to third place with a 2.2m capacity. And it must be said that the majority of early analysis is broadly in favour of the deal. Lars Jensen of SeaIntelligence Consulting was equally keen on the move citing the lack of scale that OOIL currently has to compete against the larger players. However, not everybody sees the possible acquisition as a marriage made in heaven. The managing director of Clarksons in Hong Kong, Martin Rowe had this to say. 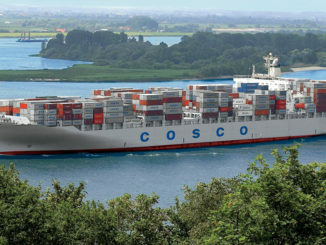 “Given the recent Cosco-China Shipping merger doesn’t appear to have resulted in significant job losses (presumably since employees of both companies effectively work for the state) then in a scenario of a merger with OOCL one may imagine the brunt of any “rationalisation” could fall disproportionately on the new junior partner irrespective of the calibre and skill of those in question. “Given OOIL is a family run and controlled (some would say paternalistic) organisation which doesn’t have financial issues that are anything other than cyclical in nature then selling themselves at the low point does not appear to hold much logical rationale,” claims Mr Rowe. 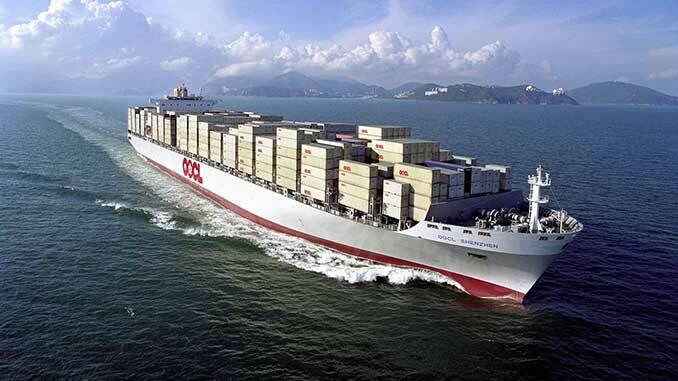 “That OOCL are a bit small by today’s standards is undeniable. However, if the business can be expanded to compete with the larger players by prudent acquisition of discounted modernish 2nd hand tonnage (of which there’s plenty to choose from today) that would appear to make more sense in terms of securing and growing the long-term value of what otherwise is a successful business, he adds. “On the other hand if OOCL’s shareholders have another agenda I just couldn’t say. However, it would seem a pity to see such an iconic and successful brand dissolved into the ‘sea of grey boxes’ that otherwise mostly characterises the current container world,” Mr Rowe concludes.